Fertrell Holly Care, 50 lb. This organic-based plant food provides the high level of phosphoric acid needed by acid-loving plants like hollies, dogwoods, gardenias, marigolds, rhododendrons, azaleas, ferns and hydrangeas. Typical analysis: 4-6-4. Also great for blueberries! 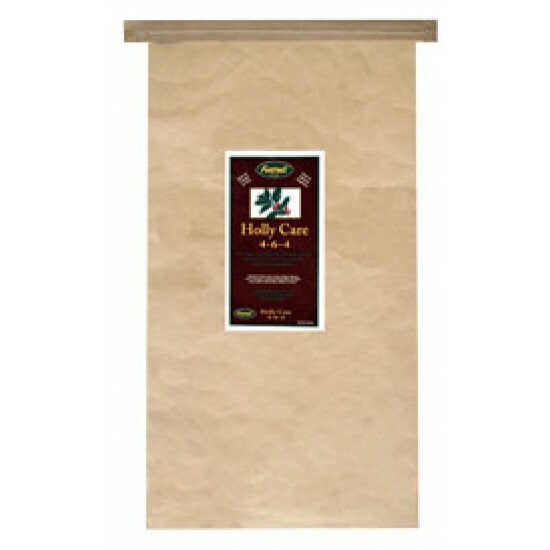 Product Code: Fertrell Holly Care, 50 lb. SKU: Fertrell Holly Care, 50 lb. Fertrell Green Potash, 0-0-15 50 lb. A naturally occuring potash source derived from kelp. Greensand is added for the benefit of the trace minerals and potash. Green Potash works great in..